» A Movie Review by Dan Stumpf: TWILIGHT WOMEN (1952). A Movie Review by Dan Stumpf: TWILIGHT WOMEN (1952). TWILIGHT WOMEN. Independent Film Distributors / Lippert, 1952. 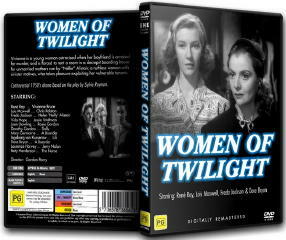 Originally released in the UK as Women of Twilight. 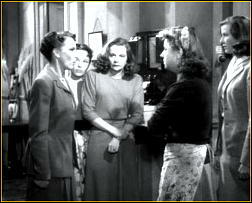 Ren� Ray, Lois Maxwell, Freda Jackson, Vida Hope, Joan Dowling, Laurence Harvey. Screenplay by Anatole de Grunwald, based on a play by Sylvia Rayman. Director: Gordon Parry. On the Obscure Movie front, several years ago I encountered an unintentionally bizarre little item called Twilight Women, made in Great Britain back in 1952. The word “twilight” had a specific connotation in sleazy paperbacks of those days, but the Twilight Women of this film all happen to be unwed mothers. Hard to believe now, but fifty years ago, Unwed Motherhood was a brand of shame roughly equivalent to a criminal record. In fact, the home for single-parents-to-be in Twilight Women is not unlike a prison at all, with its corrupt warden/landlady, her venal and sub-normal hench-persons, and the assorted tough gals, tramps and frightened innocents stuck in her care. Their stories play out with surprising intelligence and compassion, however (the adaptation of Sylvia Raymond’s play being done by Anatole de Grunewald, who was rather good at it) and while the film never tries for explicit social commentary, its depiction of women made victims of society’s moral code leaves little doubt of whom we should root for. This is, however, no message picture; it’s far too weird for that. For one thing, the print I saw had an odd blue tint to it, giving it the appearance of a Guy Madden film. 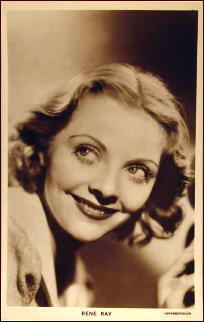 For another, there’s a sort of introduction, in which the faces of the ladies morph eerily into one another. And strangest of all is the fleeting presence of Laurence Harvey, early in his career, playing some sort of lounge lizard. The sight (and sound) of this patently-hateful actor charming the ladies and belting out love songs in an obviously-dubbed baritone must be seen to be disbelieved.